All the reasons why Kudos Badges rocks! Kudos Badges can transform and accelerate organisations usage of IBM Connections by encouraging users to leverage the full capability of social enterprise. 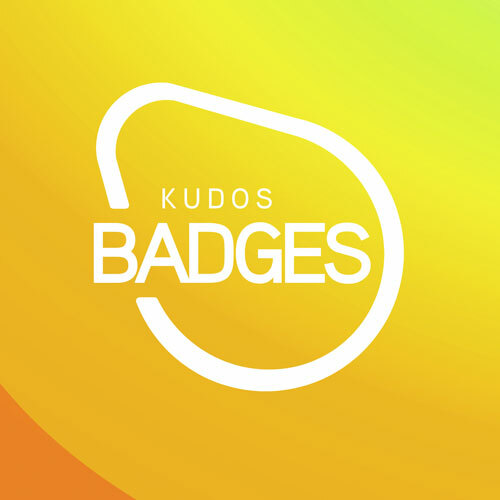 Kudos Badges for IBM Connections is a flexible gamification engine for IBM Connections. By providing achievements and rewards, rank and simple next steps, organisations can dramatically improve their user engagement and adoption of IBM Connections. Gamification or Game Mechanics work by leveraging the intrinsic human nature all of us have to receive status and rewards. The theory is quite simple: Most people like recognition, like to receive rewards and earn status. People like to progress to the next level and move up ranks. These needs and desires can be leveraged to encourage users to engage in specific behaviour, drive user adoption, and drive performance. Kudos Badges for IBM Connections leverages game mechanics to help drive user adoption and participation across the full capabilities of IBM Connections. Through the use of game mechanics Kudos Badges creates a reward and recognition mechanism that not only awards achievements but also helps guide the user on how they can improve their usage of IBM Connections for better business outcomes. When users "win" rewards such as badges, these badges are designed to not only recognise the good work a person has done, but also to show them the business value of what they have done. This encourages them to expand their usage of Connections with more advanced features. Having performed many implementations of IBM Connections, ISW found that a significant factor in whether organisations achieved real business value from social software was to ensure strong user adoption and retention. In addition, providing guidance on how to leverage the full capability of Connections and by helping users understand "Why?" they should leverage social software to work better is a key success factor. An important strategy for encouraging user adoption is providing reward mechanism's, both tangible and intangible. Kudos Badges for IBM Connections provides this strategy in a very powerful and flexible way. Leaderboards are aspirational and give your users a fun way to track how they’re doing compared with their workplace peers. The Kudos Badges Leaderboard enables users to view the top contributors throughout IBM Connections. Heaps of things! Post a Status Update, you earn a Point. Create a Blog, you earn 5 Points. Share a File, you earn a Point. Have someone else recommend your file, you earn 5 Points! As in the real world often it is the actions that others take that give you more Kudos! You can view the Top 10 Kudos Leaderboard across all of Connections, or for each individual feature such as Profiles, Activities, Blogs, etc. If you have integrated other external systems to drive Kudos they can also have a separate Kudos Rank category. The Kudos Leaderboard displays ranks relative to the person logged in. This lets you see your immediate competition with the option of navigating through the ranks. You can even see how you rank against just people in your network! Leaderboards can be filtered based on Time enabling new and old users to start afresh and to always keep the competition alive. By default, the time intervals are set to 30 days, 180 days, 365 days and All-Time but they can be changed to suit your environment. The Kudos Leaderboard Widget can be deployed onto users Connections Home Page for more prominent and regular exposure. In addition it can be deployed within a Community so you can see Kudos ranks that reflect the actual contribution from the members to the Community’s content. People love receiving things, shiny things! Things they can show off! Kudos Badges hooks into this desire to have goals and achieve them. We provide a heap of predefined badges and rewards and you can add your own or customise what we provide. People love to show off their achievements but they also need to know what they can achieve next! The Kudos Badges Details widget lists the badges and rewards that a user has achieved. In addition users can see what challenge they want to take on next by viewing the remaining badges with a description on how to earn them. This is designed to encourage users to the next level and to explore the wider capabilities of Connections. What have I earned? What else can I get? How do I win? You can also list your own custom badges and categories. Why not have some badges linked to your core organisation values? Or linked to the user performance in your Sales Force Management tool? Kudos Badges is not just about driving performance in Connections but also for objectives from other applications or areas of your organisation. The Kudos Badges Details widget is also connected to the Kudos Progress Widget. When a user clicks on a badge category or mission the badges are filtered to show just the badges for that group. Far from simply rewarding user behaviour, Kudos Badges is built to encouraging users to leverage the full capability of IBM Connections and to educate them on the how and why of IBM Connections. Kudos Badges also allows you to define levels, ranks, and how many Kudos points users receive for certain actions. Set point thresholds between levels and you can create new missions or badge categories. The Kudos Badges Progress Widget shows users how far they are away from levelling up and how many badges they have achieved within a badge category or mission. There is a part of human nature that drives people to progress. Levels are an indicator of achievement, reaching a milestone, or completing a mission and Kudos Badges rewards users through points, levels, and badges. The Kudos Profile Widget enables you to encourage your users to update their profile contact information, upload a photo, and all of the other basic information on their profile. This not only saves an incredible amount of time and manual guidance for IT support staff, it sets up all users with a consistent level of detail in their profile across an organisation. Beyond the basics, the Progress Widget can also link more advanced criteria such as "Have they joined their first community? ", "Have they participated in a discussion forum....in the last 30 days?". You can even connect it to external applications such as HR: "Has the user completed their annual training this year?" All of these prompts drive sustained behaviour, adoption and business productivity. Kudos Badges integrates seamlessly with the IBM Connections Mobile App enabling your mobile users to also participate. If you are going to encourage and measure adoption across your entire organisation you need to make sure your mobile users are included as well. The IBM Connections Mobile App is a first class user interface and ensuring that your mobile users are also rewarded and recognised for their contribution is essential in any user adoption plan! Kudos Badges integrates seamlessly with the IBM Connections Mobile App enabling your mobile users to also participate.